This paper advances the need for a blueprint for a concept and practice of “compassionate migration” as a pressing response to the escalating xenophobia and hate towards migrants escaping fear and extreme poverty. Irregular migrants and refugees from certain countries are perceived by many as self-interested individuals whose aims are to exploit the social benefits of the state or destroy its core values. Although fear of migrants has long existed, particularly towards those who come from cultures that do not share the dominant values of their host communities, after 9/11, the increase in terror attacks in the Global North, and the ongoing conflicts in the Global South, the U.S., and many European states have securitized migration, including the militarization of their borders. Moreover, receiving states are criminalizing migration offenses, including the assistance of irregular migrants from a humanitarian standpoint. 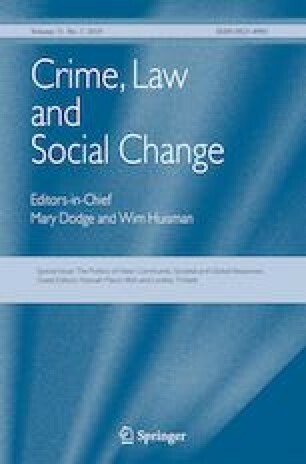 Although all migrants have protections under domestic and international humanitarian laws, this paper draws from cases of discourses and actions of hate towards migrants in the U.S. and Europe that inform us that under the securitization and criminalizing of migration such laws are not adequate to protect the human rights of migrants from a dangerous rise in xenophobia and nativism. National Network for Immigrant and Refugee Rights (NNIRR) (n.d.) Border Militarization Policy. Retrieved from https://www.nnirr.org/drupal/border-militarization. Council on Foreign Relations (CFR) (2017) Global Conflict Tracker. Retrieved from http://www.cfr.org/global/global-conflict-tracker/p32137#!/. Euro Topics (n.d.) Europe Closes its Border: 14 Debates. A project of the Federal Agency for Civic Education (Bundeszentrale für Politische Bildung), Berlin, Germany. Retrieved from https://www.eurotopics.net/en/152859/europe-closes-its-borders.